If I’ve said it once, I’ve said it a million times… as a dude, even if you are the victim of a violent attack from your wife… YOU are batshit crazy. That means one of two things went down… 1) you provoked her to assault you, or 2) she assaulted you unprovoked and that’s the woman you chose to marry. Both scenarios = batshit crazy. The last person I called that goes by the name Milton Bradley. I don’t throw this term around loosely. 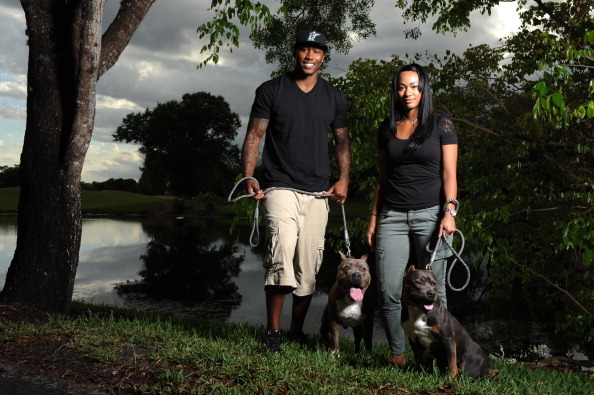 By now, everybody knows that Brandon Marshall’s wife stabbed him in the stomach over the weekend. We certainly wish him a speedy and full recovery. Here is a picture of the two during happier times. His wife, Michi Nogami-Marshall, is the one standing up on the right in the picture. TMZ managed to even get the audio of the 911 call. 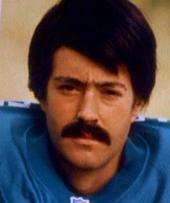 Everybody thought the Denver Broncos were nuts to let this guy go… because he was the best wide receiver since sliced bread. Then this happens… who’s nuts now? 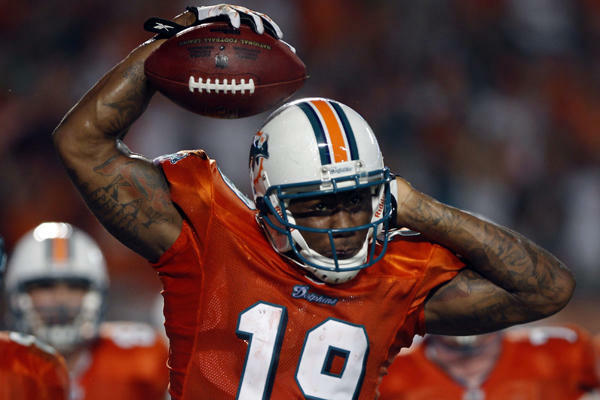 Not even kidding, I think it’s safe to say that Brandon Marshall is the most unstable Miami Dolphins player since a certain soccer-style placekicker mysteriously disappeared. This entry was posted in Celebrities, Football, MLB, Movies, News, NFL and tagged 911 call, Ace Ventura, batshit crazy, Brandon Marshall, Brandon Marshall stabbed, Brandon Marshall's wife, Denver Broncos, miami dolphins, Michi Nogami-Marshall, Milton Bradley, NFL, ray finkle, TMZ. Bookmark the permalink.